Ever since I was a child I have been obsessed with the Egyptians. Something about the way they lived, their rituals and all the myths are just so intriguing. 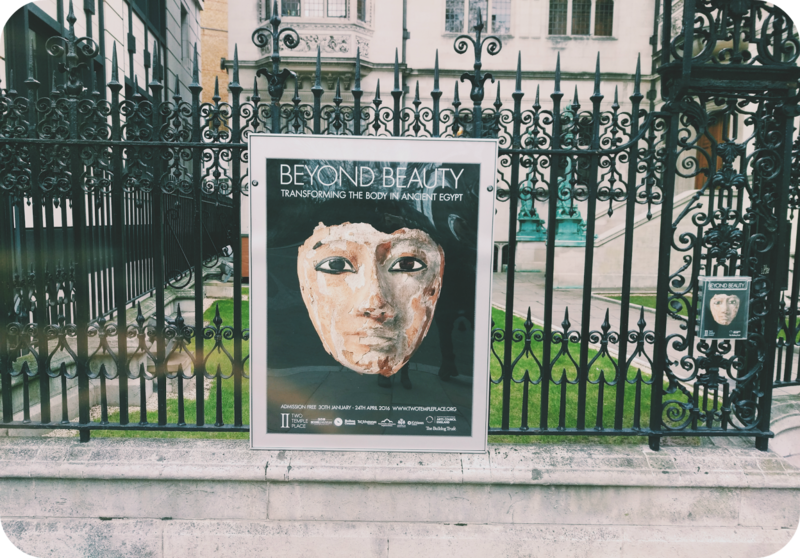 So when I found out that Beyond Beauty, an exhibition exploring the customs of appearance, body image and death in ancient Egyptian was opening, I knew that I had to pay a visit. 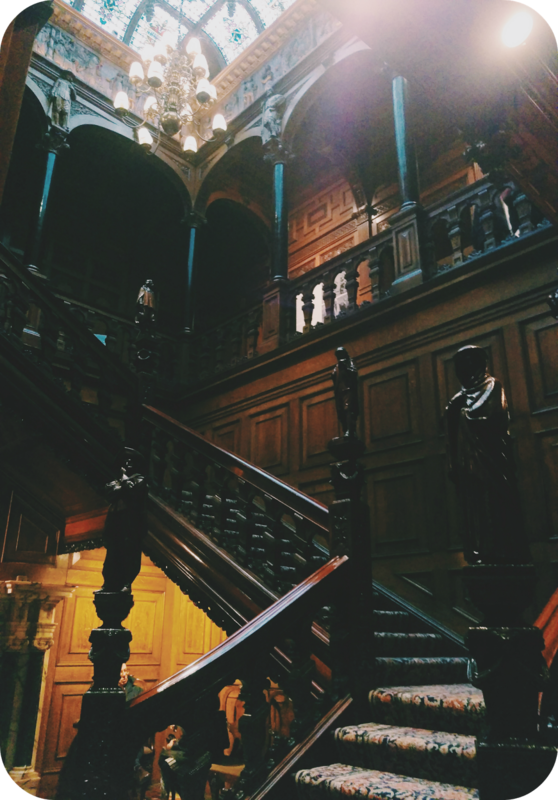 The exhibition is a small intimate one being showcased at the beautiful Two Temple Place. Not at all far from Temple station, this building is jaw droppingly beautiful. It’s completely free to visit and you’re allowed to admire the architecture for as long as you like. As I said earlier, the exhibition really is very small. 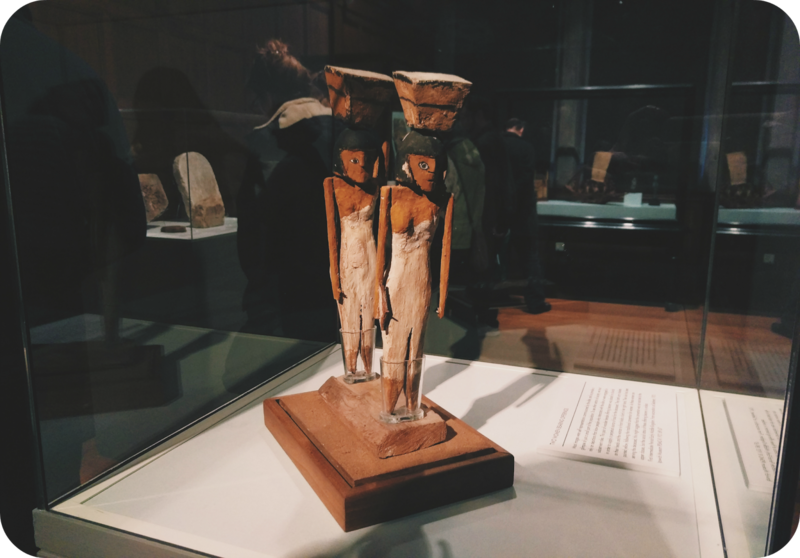 There are just two rooms that showcase a range of Egyptian artefacts but that doesn’t take away from the fact that it is a fascinating day out. On arrival, you’re greeted and handed a copy of a book that details all the pieces on display and background information. 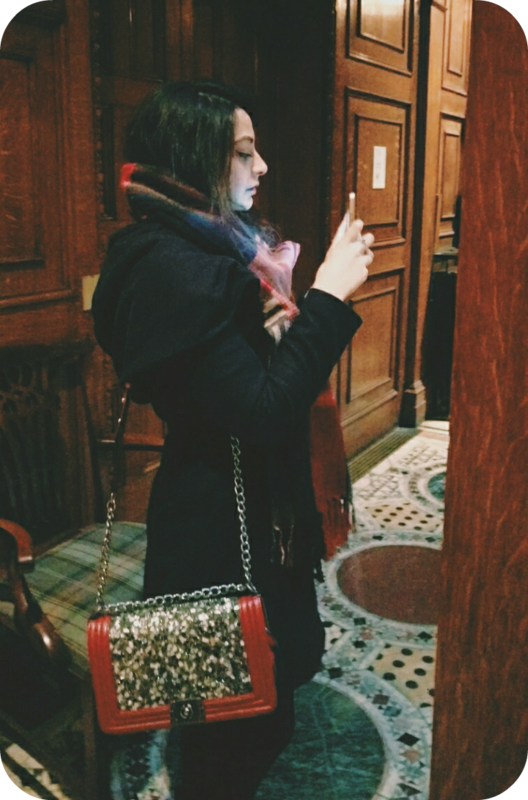 I did initially find it a bit of a nuisance carrying it around but when I got into it, it was actually really handy. If at the end of the exhibition, you want to buy a copy you have the option to or you can just hand it back. 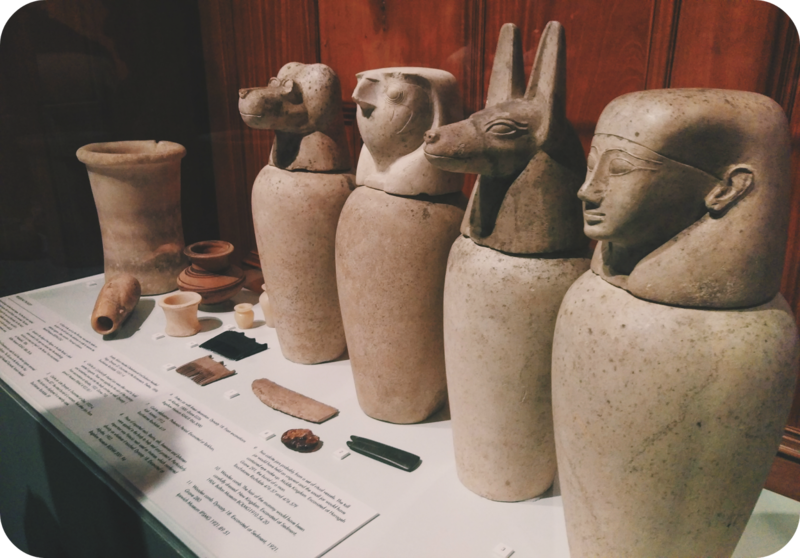 The jars featured above are called canopic jars, and they were used to hold the organs of the deceased. Only the heart would remain in the body. These organs were then buried with the body so that they can be protected during the journey to the afterlife. I remember learning in school that the brains were pulled out through the nose with a special tool during the mummification process, eek! So what did I learn? Well, it turns out that the ancient Egyptians associated beauty with holiness. 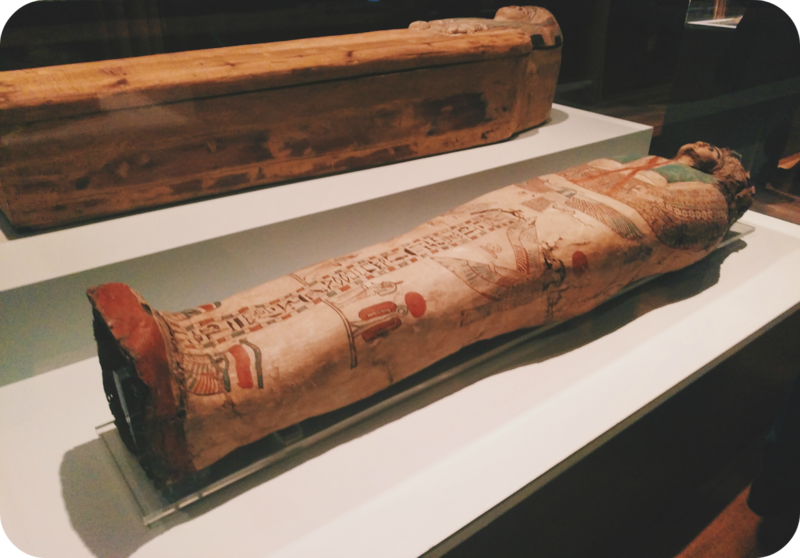 make up was often buried with the mummies to help them on their journey to the afterlife. In fact, the earliest examples of cosmetic palettes were found dating back to the ancient Egyptian times, around 5000BC. Judging by the amount of mirrors, combs, hairpins, and jewellery it’s very easy to see just how important appearance was the to ancient Egyptians. I did always wonder if the bodies were pulled out of these before they’re showcased but it seems that they are, thank god! The bottom of this one had a little hole so I had a little peek. There are no restrictions on taking photo’s, how long you can stay or what you do, as long as you’re respectful of these valuable pieces of course. If you do want to spend some time sitting at two temple place, there are seats under some amazing stained glass windows. Alternatively there is also a coffee shop in one of the smaller rooms serving sandwiches and cakes. They looked lovely but we were off to have some dinner so I can’t comment on if it was any good. The Beyond Beauty exhibition is a great place to visit if you’re looking for a chilled out day but don’t want to spend all of it traipsing through a huge museum. They have activities for children to keep them occupied too if you’re thinking of bringing your little ones and the venue is big enough not to get completely over crowded. The exhibition is open until April 2016 and open every day except Tuesdays.